Shortly after I became a Christian, my grandfather died. It was the first time I lost someone close to me. Since I was raised in an atheist home, I had very little knowledge of the Bible, Christianity or religion in general. Losing my grandfather presented me with several new challenges. I didn’t know how to view death or grieve as a believer. I didn’t know how to express the loss without self-pity. I didn’t even know how to talk about my confusion over suffering as a believer. I was away in college at the time and lacked input of older wiser adults. None of the church volunteers who helped with the college group had gray hair, so in many ways we kids were pooling our ignorance. In struggling with how do I face this situation, I remember thinking I had to be positive no matter what. As a Christian I thought I had permission to be courageous, brave and steadfast, but not to be afraid or to grieve. In my ignorance I concluded that proper Christians didn’t hurt and that real Christians had some kind of special faith that made them always cheerful and put together. Since I needed that shoulder to cry on, I must be a backsliding believer. But the worst thing about my wrong conclusion was that I was afraid to turn to God. I was convinced I couldn’t go to God because I was letting God down. I was not the kind of person a believer is suppose to be, so how could I possibly pray about it? How could I let God know that I was failing this Christianity thing? The first bump in the road and I fall apart. What kind of a Christian is that! I’d like to say that I found Psalm 143 and all my wrong ideas were put to rights, but that would be apocryphal. I didn’t find this Psalm until years later. I’ve always been drawn to the lament psalms, especially the penitential psalms (6, 32, 38, 51, 102, 130 & 143), because they express a kind of prayer we Christians are too put together to pray in public. 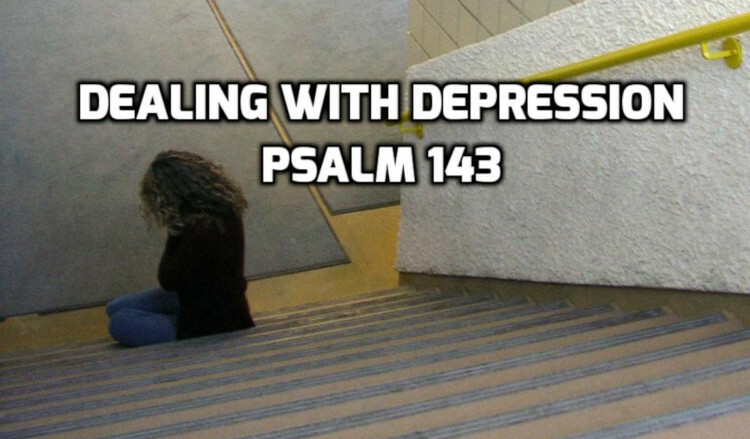 By in large we don’t show the anguish expressed in Psalm 143 to each other, so it’s comforting to know that not only do genuine believers fall into the pits of depression but that they can go to God from that dark place and find light again. My young conclusions about dealing with suffering were wrong. Christians do hurt. Christians do grieve and it is entirely appropriate — in fact necessary — to take that hurt to God. That’s what Psalm 143 is about. It’s about being in the deepest blackest pit of despair and finding God anyway. It’s about depression, but the particular depression and anguish you feel when you’re confronted with the consequences of your sin. Let me give you a disclaimer here. While this Psalm is largely applicable to dealing with depression, it is not a panacea such that once you understand it you will never be depressed again. There are kinds of depression for which you ought to seek medical or professional help. This Psalm is about those times in our lives when we realize we are not the people we ought to be, when we realize anew the depths to which we can be selfish and unloving, when we realize that we are broken, defeated sinners and when we find despite our best intentions and strongest efforts we have sinned again and that sin had consequences and the consequences hurt. This Psalm is about that deep dark black pit of knowing I failed — again — and finding hope. Click on the podcast player at the top of this post to listen to the podcast. 1 A Psalm of David. Hear my prayer, O LORD, Give ear to my supplications! Answer me in Your faithfulness, in Your righteousness! 2 And do not enter into judgment with Your servant, For in Your sight no man living is righteous. 3 For the enemy has persecuted my soul; He has crushed my life to the ground; He has made me dwell in dark places, like those who have long been dead. 4 Therefore my spirit is overwhelmed within me; My heart is appalled within me. 5 I remember the days of old; I meditate on all Your doings; I muse on the work of Your hands. 6 I stretch out my hands to You; My soul longs for You, as a parched land. Selah. 7 Answer me quickly, O LORD, my spirit fails; Do not hide Your face from me, Or I will become like those who go down to the pit. 8 Let me hear Your lovingkindness in the morning; For I trust in You; Teach me the way in which I should walk; For to You I lift up my soul. 9 Deliver me, O LORD, from my enemies; I take refuge in You. 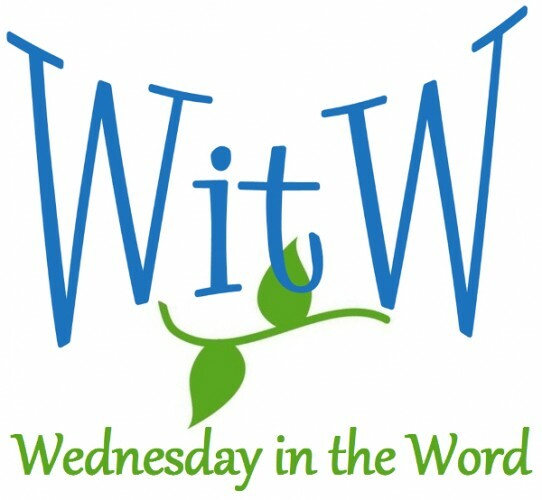 10 Teach me to do Your will, For You are my God; Let Your good Spirit lead me on level ground. 11 For the sake of Your name, O LORD, revive me. In Your righteousness bring my soul out of trouble. 12 And in Your lovingkindness, cut off my enemies And destroy all those who afflict my soul, For I am Your servant.